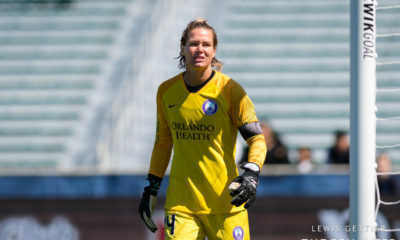 Six minutes into stoppage time, in the National Women’s Soccer League’s 72nd match of the season, referee Christina Unkel brandished a red card above the head of Orlando Pride forward Marta. 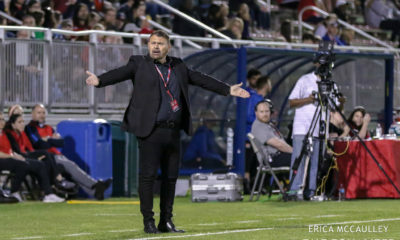 That the Brazilian legend succumbed to mounting frustration in the final seconds of another Orlando loss to Houston was not the cause for surprise. Nor was the actual action which produced it – shoving Rachel Daly near the face area, regardless of how forceful, is grounds for ejection. That a red card had finally come out at all over halfway through the league’s 2018 campaign was news in itself. The preceding weeks saw a pair of dangerous – and, in one case, violent – plays in the league go under-punished, putting a microscope on an NWSL refereeing problem which has been brewing for years. Portland Thorns FC midfielder Meghan Klingenberg kicked out at Seattle Reign FC midfielder Allie Long seemingly within eyesight of the referee, the first assistant and the fourth official in a June 30 match. The incident was also right in front of the team benches and caught clearly on camera, but Klingenberg received only a yellow card. She was later suspended by the NWSL Disciplinary Committee for the following week’s match. That following week, in a match between Portland and Utah Royals FC, Thorns midfielder Margaret Purce was sidelined for an extended amount of time after a brutal tackle from Utah midfielder Diana Matheson just before halftime. Center official Farhad Dadkho was only a few yards away from the studs-up challenge, but chose to only issue a yellow card. Matheson was later suspended by the NWSL Disciplinary Committee for the following week’s match. Those around the league agree that these incidents were out of character for the players in question, and that they were still clear and obvious red-card offenses. But they were also part of a larger trend, perhaps the most egregious incidents in a season that has seen a bizarre number of dangerous, late or violent challenges go under-punished or unpunished altogether. It all has NWSL coaches not so quietly asking questions of the referees. 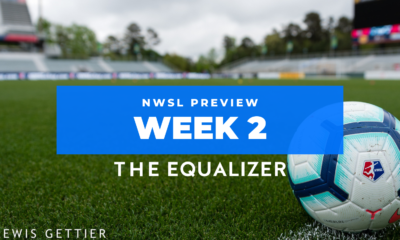 Over half of the coaches in the NWSL spoke to The Equalizer on the condition of anonymity, expressing both discontent with the level of officiating and confusion over what’s being done to improve it. Referee consistency, accountability and communication were central themes among coaches, who feel they have reached a breaking point in the homestretch of the league’s sixth season. Just like fellow owners demanding higher standards this offseason, and players recently speaking out about subpar conditions, coaches feel there has been enough of a grace period. Collectively, the feeling among NWSL coaches appears to be one of resignation. “What’s the point in getting angry? It’s just frustration now,” said another NWSL coach. 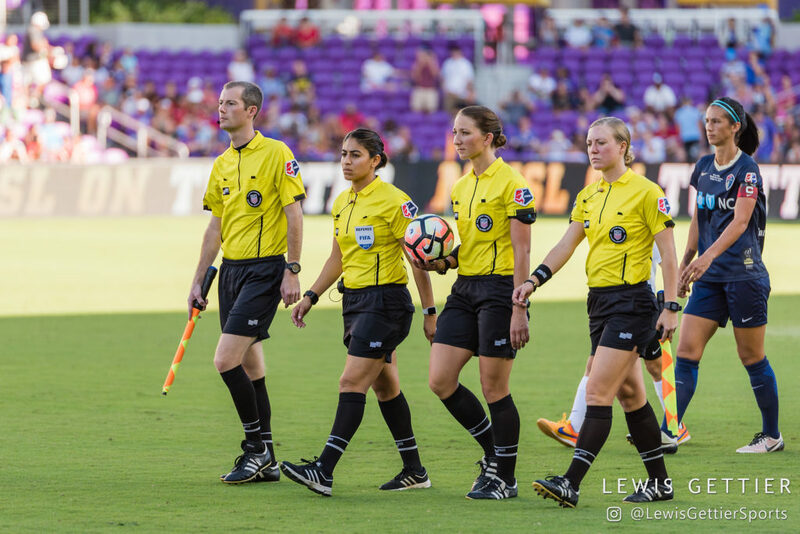 PRO – Professional Referee Organization – assigns referees for the NWSL, just as it does the rest of the professional soccer leagues in the U.S. and Canada. Sandra Serafini is the director of strategic initiatives and innovation for PRO, and she is heavily involved in the development of and assignment of NWSL referees. Serafini points out that, despite what observers see on video, what a referee sees from his or her vantage point – and thus, what discipline is shown – is more nuanced than it might appear. She speaks regularly with her team of referees, a particular group which splits professional assignments between the NWSL and the USL, a second-division men’s league.